I was born in the Cotswolds in the village of Wyck Rissington and have farmed the surrounding area since the late '70s. I took early retirement 2 years ago and have always wanted to share with others this beautiful part of the world, that I am passionate about. I have a great knowledge of the history, the "locals" and the hidden gems of the Cotswolds. I love to share my strong association with the land with all my guests and can explain just what is going on "on the other side of the hedge". 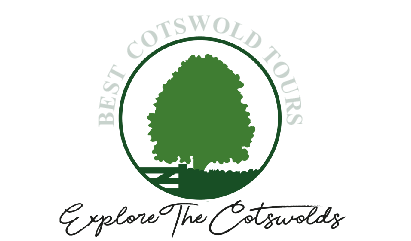 Best Cotswold Tours will describe and take you to the beautiful and quintessentially English countryside that is the Cotswolds. You will gain insight into everyday Cotswold Life. Each tour is tailored to your own requirements and will be at your speed. You will not be sharing the day with anyone else. The aim is to have a relaxing and memorable day. You will thoroughly "Enjoy the experience"
I will collect you from your Hotel, B&B, train station within the Cotswold Area at a time to suit you. I will transport you in the luxury of my Mercedes to visit beautiful Cotswold Villages, Panoramic views, Magnificent Gardens, Manor Houses, Castles or wherever you might want to visit. After a coffee or comfort break mid-morning I will take you to have lunch in one of the many wonderful Cotswold pubs, cafe's, or Farm Shops where you will have a delicious lunch of locally grown produce. The afternoon I might take you to one of the many gardens, or one of the numerous historic houses of your choice. The day is designed exclusively for you and your family and will be at your pace. I will return you to your hotel, B&B or train station late afternoon/early evening. A typical day might last from 9.00am to approximately 6.00 pm. My aim is for you to have a memorable relaxing day in the Cotswolds to "Explore the Cotswolds"
By train, The Cotswolds are well served with quick and efficient services from London, Paddington and Marylebone. There are mainline railway stations at Bath, Cheltenham, Gloucester, Kemble (serving Cirencester and the South), Moreton-in-Marsh, Charlbury, Kingham and Oxford. Please complete the form to help me understand who you are, what you want to see, when and from where. I will reply personally as soon as I return from today's tour, in the meantime please explore my website for ideas and information.